Body Positivity - Are We Fighting A Losing Battle? I love my body. Yes, there are things about it I would change (who wouldn't?) but I love that it is mine and all the things that it allows me to do. I hope one day, everyone feels as content and comfortable in their own skin as I do, because it's a really lovely place to be at. 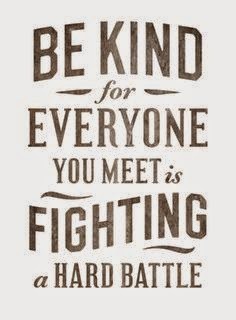 However, sometimes things happen that make me realise I am fighting a losing battle, because the lines of body positivity get blurred & every day I see examples of people bringing down one body type in order to make another body type feel good - but that method IS NOT WORKING! In my eyes, you can not be positive about one persons choice to have a body like they do while you are slating another person and their choices. Yes, I understand that it is easier to relate to and understand a person who thinks the same as you but if someone has a different thought to you, that is OK TOO! This morning, Kate Hopkins hit the headlines with her new TV venture - to gain 3 stone and then show how easy it is to lose it (that's another blog post)! However what I saw from comments at people (rightly so) horrified at her TV show was comments about the way she looks. People on Twitter and Facebook were making horrible comments about the way she looks, dress etc which just shows me that we're fighting an ever losing battle! 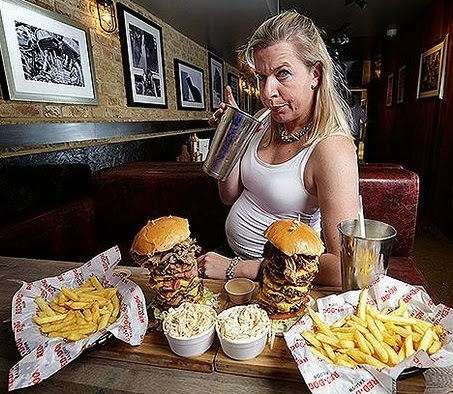 In my eyes, if we are angry at Katie Hopkins for her judgemental comments about fat people then fighting that with judgemental comments about the way she looks is pointless and harmful. Instead we need to look at rising above it and fighting her horrible judgemental views with education and strength, not resorting to name calling. And then this morning I saw (although admittedly I haven't read the article) a headline in That's Life Magazine about plus size party Big Girls Paradise. 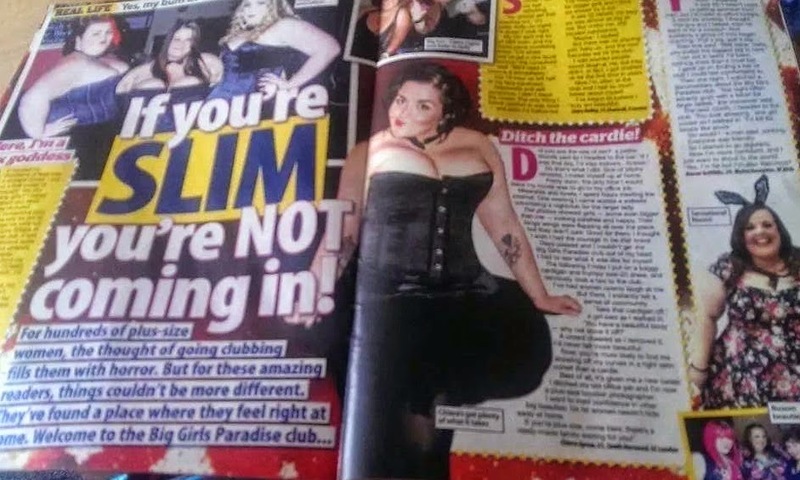 The headline reads "If You're Thin, You're Not Coming In". The organisers of BGP are adamant that they knew nothing of the headline but I am not sure if that makes things better or worse! I have lost count of the number of BGP parties I have attended across 3 different cities in the last few years and I can hand on my heart say that thin people are welcome, more than welcome! Yes, BGP is a plus size positive environment but that doesn't mean anyone else isn't welcome, what nonsense! I have spoken about BGP and the improvements they can (in my opinion) make but one thing I can say is that no one is turned away because of their size - what a horrible place that would be if that were the case. This headline apparently plucked out of thin air by That's Life Magazine only goes to try and strengthen the divide between fat and thin people. I can see horrified thin women reading that story and thinking FINE! Let them go their special club they don't need to be made to feel welcome in our clubs! Fair enough, that might be an exaggerated view but why do magazines like this need to add any fuel to the fire? We certainly do not need anything more to separate fat and thin people so these magazines need to sit up and realise that their sensationalised headlines make a massive difference! So, we have magazines claiming that thin people aren't welcome in plus size parties and supposed body positive people slating on Katie Hopkins because of the way she looks - both of these supposed scenarios where people should be made to feel welcomed and loved, not slated. So, body positivity are we fighting a losing battle or do you think we're making in-roads to where we need to be?